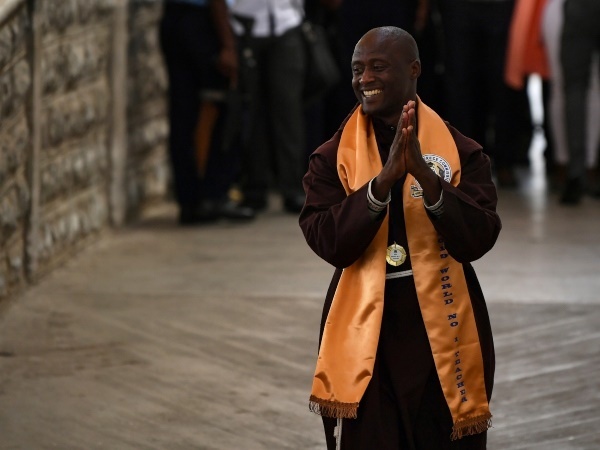 He’s been named the best educator globally but Kenyan friar Peter Tabichi says it’s all down to the hard work of his learners – and knowing how to do more with less. Until a few weeks ago not many people outside his village knew about him. He was just a maths and physics teacher, getting around on a battered old motorbike, doing his best to instil a love of learning in the kids he stood in front of every day. 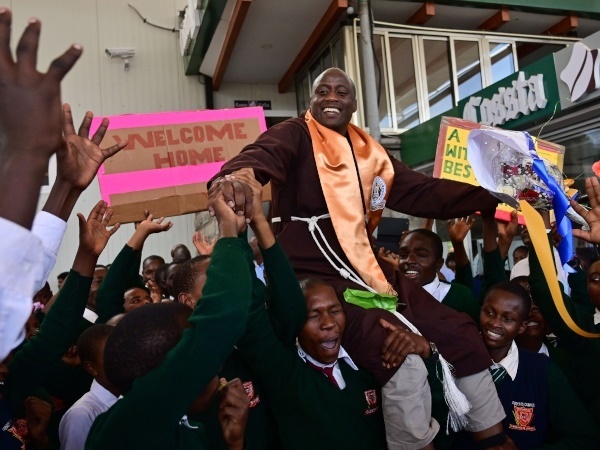 But Peter Tabichi recently made headlines around the globe when he was named the world’s best teacher, pocketing a prize of $1 million (R14,5 million) in the process. The glitzy ceremony for the Varkey Foundation’s Global Teacher Prize was hosted by Hollywood superstar Hugh Jackman and held in Dubai – a world away from Peter’s modest home in Pwani Village, Kenya. The foundation praised Peter’s “dedication, hard work and passionate belief in his students’ talent, which led his poorly resourced school in remote rural Kenya to emerge victorious after taking on the best schools in national science competitions”. Peter’s instant millionaire status could see him swopping his teaching job for a life of luxury. After all, the average high school teacher in Kenya earns about R7 000 a month and teaches classes of up to 60 kids. But Peter has no such plans. In fact, he’ll be giving away much of his money to his calling, as he has been doing for the past few years. Brother Peter, who’s a member of the Franciscan religious order within the Catholic Church, donates 80% of his modest salary every month to help the poorest learners at the overcrowded and ill-equipped school where he teaches. Without his help, many kids wouldn’t be able to afford uniforms or books or have a meal in their bellies before the school day begins. Peter teaches at Keriko Mixed Day Secondary School in Kenya’s Rift Valley region, an area that has faced drought and famine in recent years and is heavily populated by desperately poor families. The number of learners at Keriko has doubled since 2015 to about 400 children, Peter says, but the school has only eight teachers. Yet it has an excellent reputation. Some pupils have won international science prizes and many learners have gone on to study at tertiary institutions. And Peter has been instrumental in helping them reach their goals. His passion and dedication are unrivalled, his colleagues say. “Brother Peter’s belief in his students has made our poorly equipped school perform well,” maths and chemistry teacher Benjamin Buluku told Kenya’s Daily Nation newspaper. Peter comes from a family of educators – his father is a retired primary school teacher and five close relatives are teachers. “Thinking back, the lessons I learnt from my father have been my guiding light,” he told the Daily Nation. At the award ceremony on 24 March, Peter thanked his father for instilling Christian values in him, then called him to the stage and handed him his award as the room erupted in applause. “He’s the man behind all that I’m doing,” Peter said. 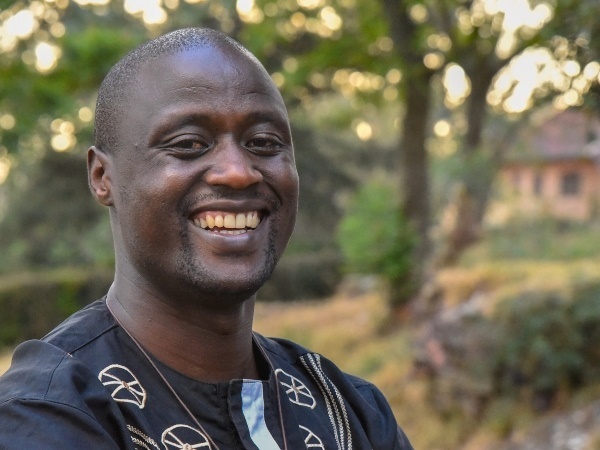 He told the audience he’d learnt to speak English only at the end of his primary school career but with his father’s help he’d sailed through high school and then studied at Egerton University, the oldest varsity in Kenya. 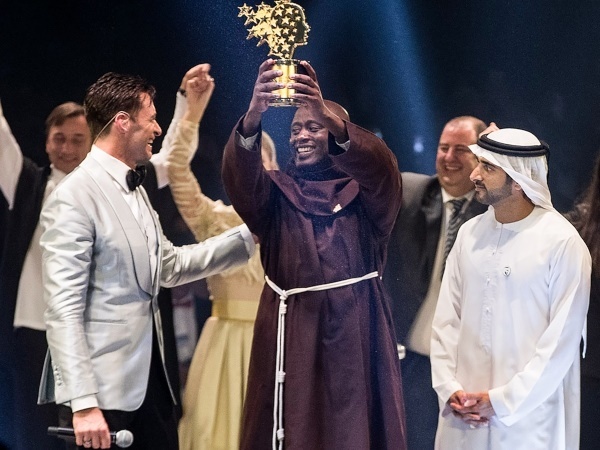 Peter wore a plain floor-length brown robe characteristic of the Franciscan order when he received his prestigious award, which was presented by Dubai’s crown prince, Sheikh Hamdan bin Mohammed bin Rashid Al Maktoum. The money will be paid to him in 10 instalments over the next 10 years and he’ll then donate the majority of it to his school, which has only one computer, limited internet connectivity and no library. He gives away most of his salary because the children need it more than he does, Peter says. The 20% he keeps is enough to cover his basic needs. As a Franciscan brother “austerity is our way of life”, the 37-year-old explains. “We believe that sharing and generosity foster freedom from proprietary attachments and instincts.” Peter enlisted the help of his fellow Franciscan brothers to equip the school laboratory and together they bought equipment worth R73 000. “I also worked on the self-esteem of the students and started a talent-nurturing club and a mathematical science club where students started taking an interest in sciences,” he said. Through his mentoring, learners have produced design research projects of such high quality that 60% of them have qualified for national competitions. At last year’s Kenya Science and Engineering Fair, Peter’s learners demonstrated a device they’d invented that allows blind and deaf people to measure objects, earning the kids first place in the public schools category. The school’s mathematical science club qualified to take part at this year’s Intel International Science and Engineering Fair in Arizona in the USA, and learners also won an award from Britain’s Royal Society of Chemistry for building a device that generates electricity from plant matter. That is what Peter says of his prize. “This award doesn’t recognise me but recognises this great continent’s young people.” Kenya’s president, Uhuru Kenyatta, describes Peter’s success as “the story of Africa”. The Varkey Foundation was founded by Sunny Varkey, a businessman who started Gems Education, a company that runs 55 schools in the United Arab Emirates, Egypt and Qatar. Now in its fifth year, the Teacher Prize is the largest of its kind and has quickly become one of the most coveted awards for teachers. Thanks to his efforts and his habit of leading by example, more children than ever are enrolling at his school, girls are outperforming boys in exams and incidents of bad behaviour at the school have dropped in recent years from 30 a week to just three. It’s safe to say that’s mission accomplished.